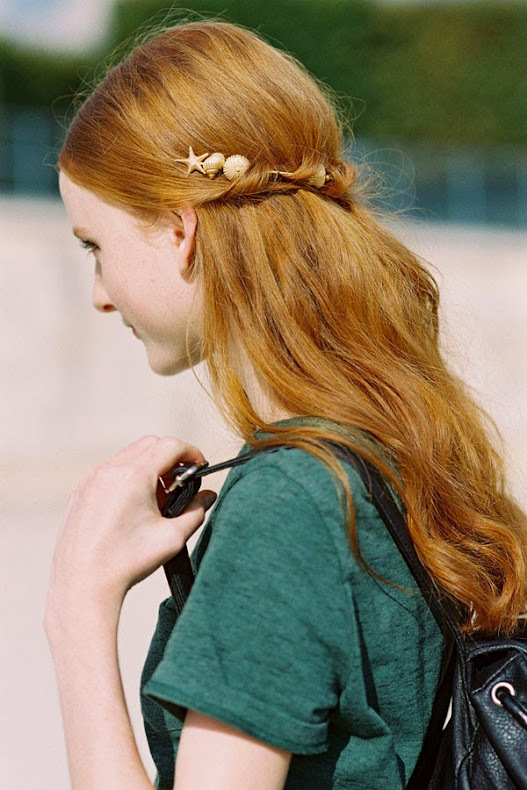 Danish model Emily Astrup, after Rodarte, NYC, February 2014. 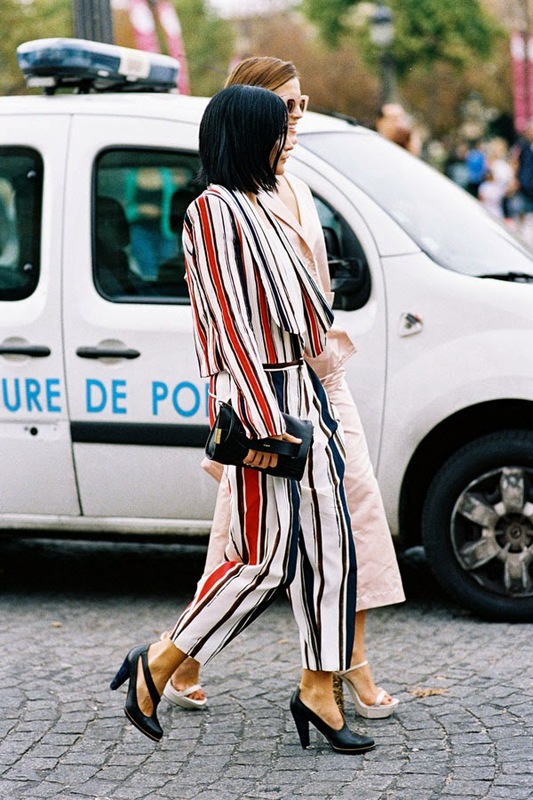 Fashion TV host and journalist, Tiany Kiriloff, after Stella McCartney, Paris, September 2014. Delpozo US President, Indre Rockefeller, before A Show, NYC, February 2014. 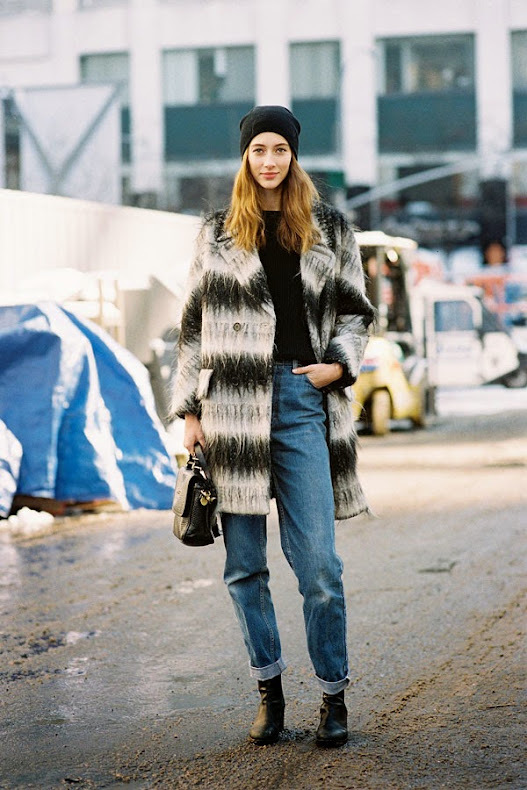 Canadian model Alana Zimmer, after A Show, NYC, February 2014. 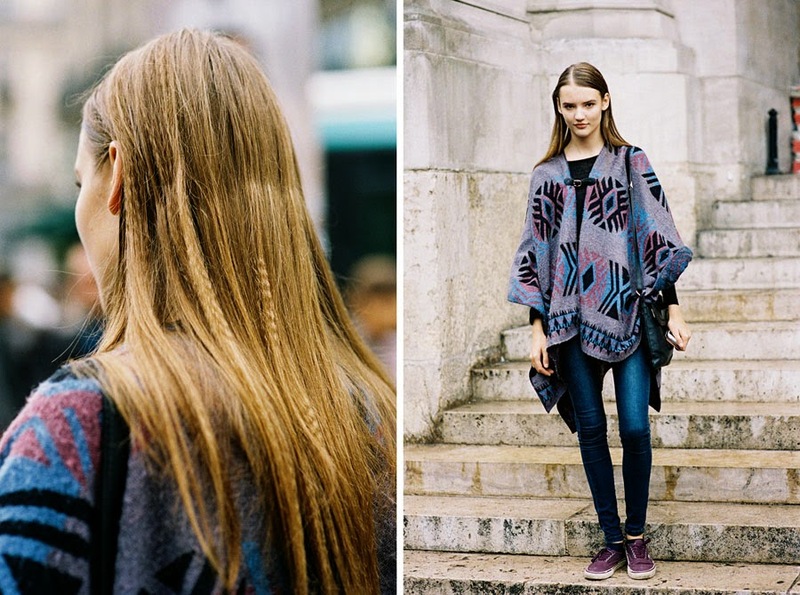 Gabriele Regesaite, after Stella McCartney, Paris, September 2014. 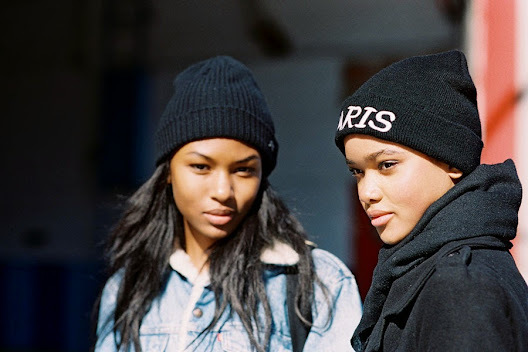 DJ Leigh Lezark + Hanneli Mustaparta, before Chloe, Paris, September 2014. After Tess Giberson, NYC, February 2014. Australian actress Melissa George, before Nina Ricci, Paris, September 2014. Love this look on Melissa. It reminds me of the dress Natalia wore back in July 2012 at the couture collections. Stylebop.com Fashion Director, Leila Yavari, after Prabal Gurung, NYC, February 2014. 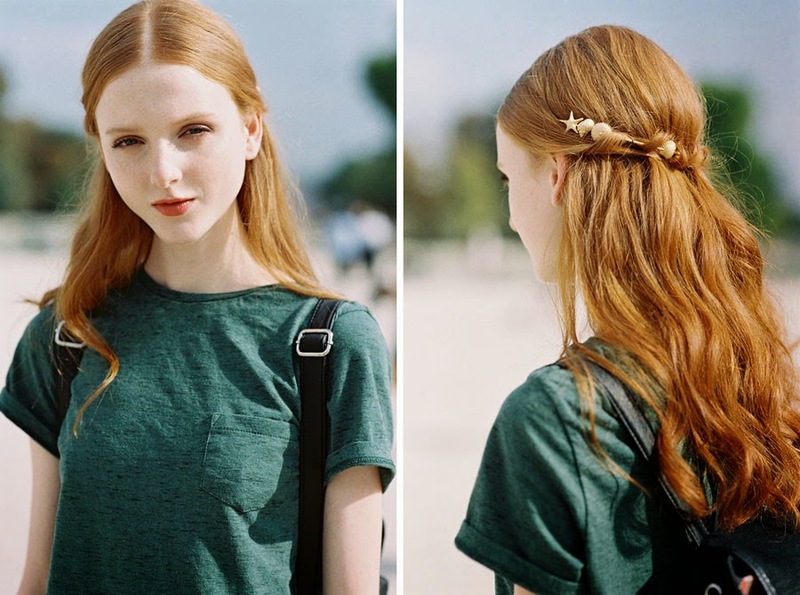 Hair inspiration via Australian model Madison Stubbington, after Valentino, Paris, September 2014. 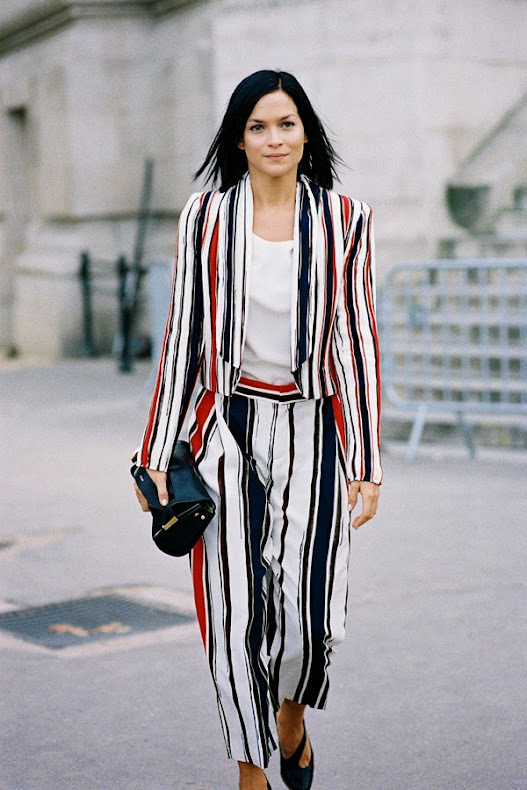 Helena Bordon, before Stella McCartney, Paris, September 2014. Tank magazine's Caroline Issa, after Moncler Gamme Rouge, Paris, October 2014. 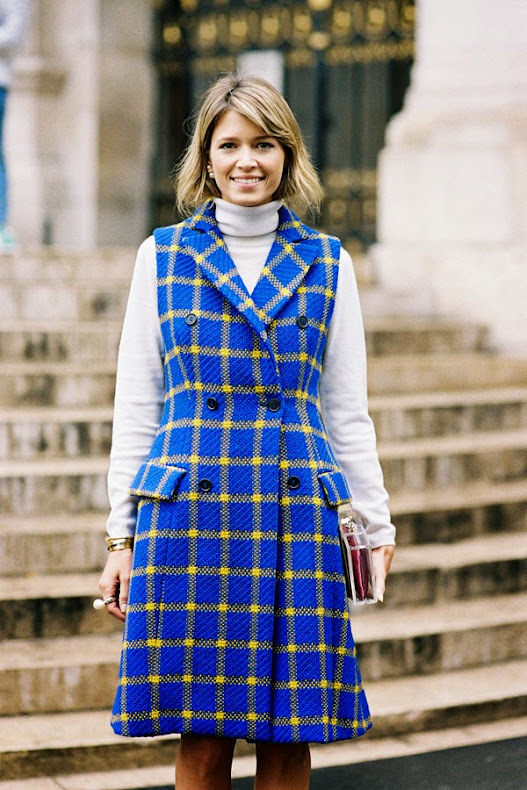 Natalie Joos of Tales of Endearment, after Karen Walker (I think), NYC, February 2014. Another interpretation of the sweater + floaty skirt combination: with a beautiful duffle coat instead of a sweater. Tamu McPherson of All The Pretty Birds, before Derek Lam, NYC, February 2014. 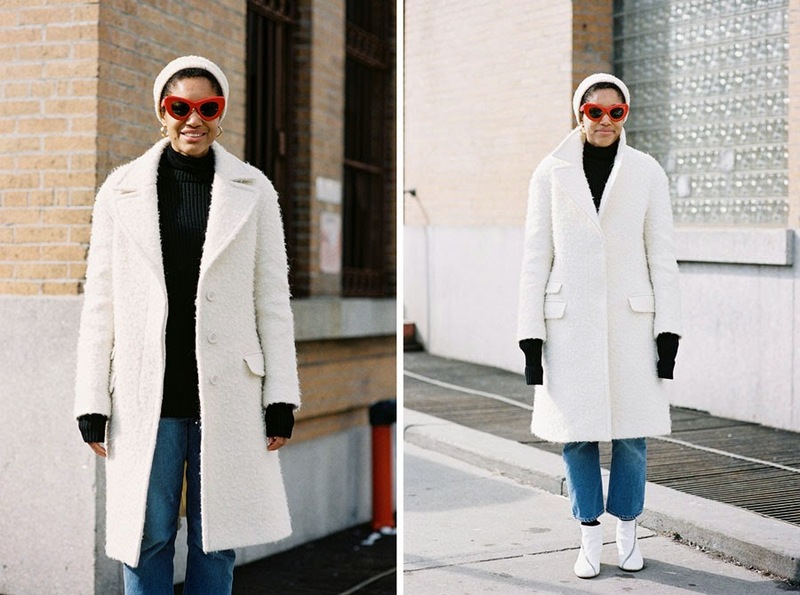 Rev up a monochrome look with a fab pair of red sunglasses, hoop earrings and a beanie like Tamu. 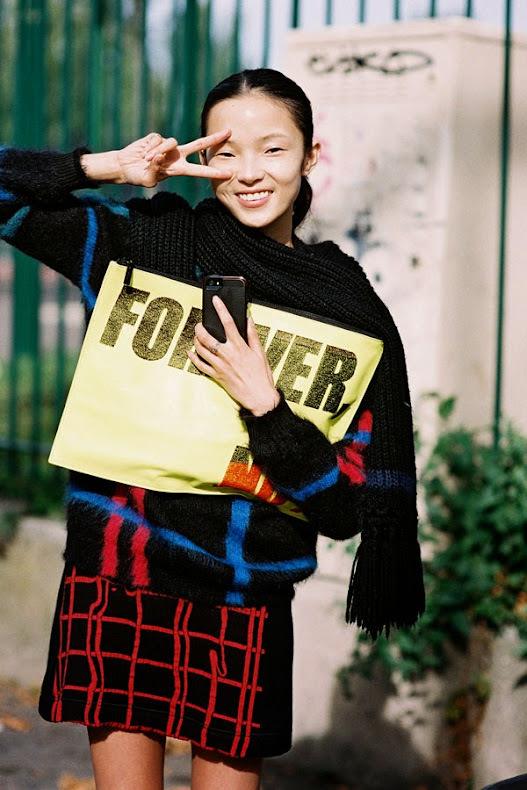 Chinese model Xiao Wen Ju, after Kenzo (wearing Kenzo), Paris, September 2014. 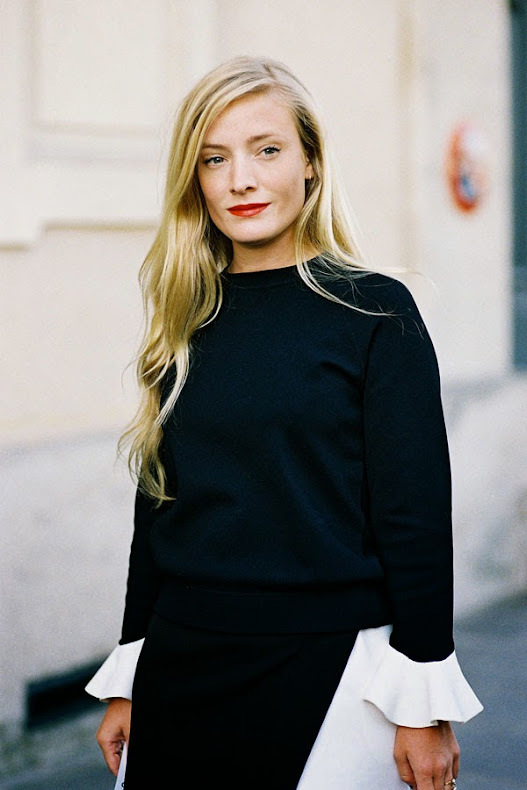 Creative Consultant Kate Foley, before Roland Mouret, Paris, September 2014. Colourblocking (and a mohawk handbag) at its very best. 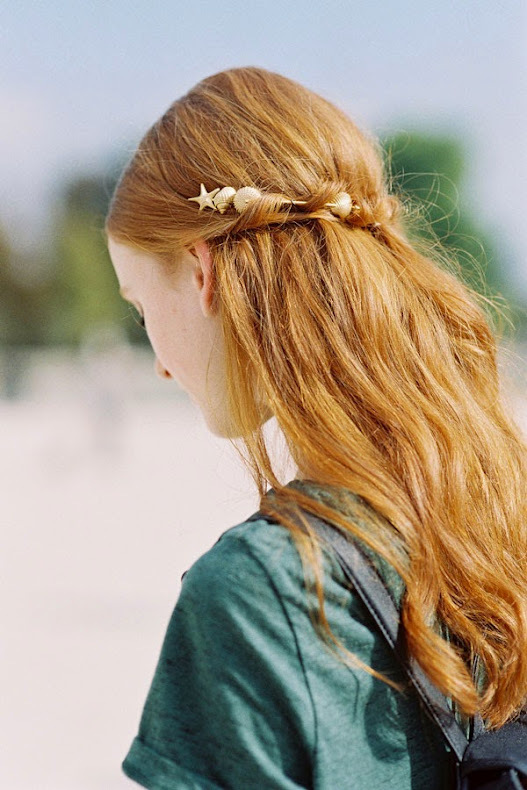 Art director and fashion consultant Sofia Sanchez Barrenechea ,Tuileries, Paris, March 2014. Before Burberry, London, February 2014. 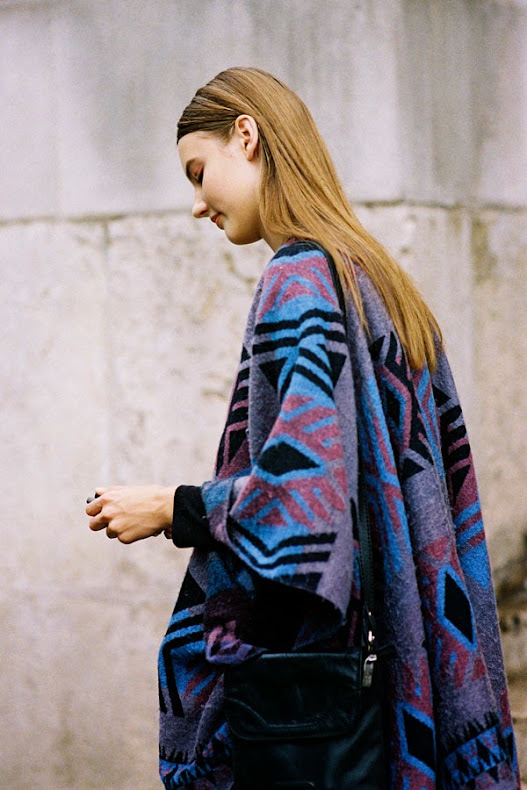 A beautiful jewel-coloured coat and scarf to brighten a dull winters day. Executive Fashion Director Lucky magazine, Alexis Bryan Morgan, before A Show, NYC, February 2014. Snow on the ground but oh-so-pretty spring colours of pink, blush and peach. 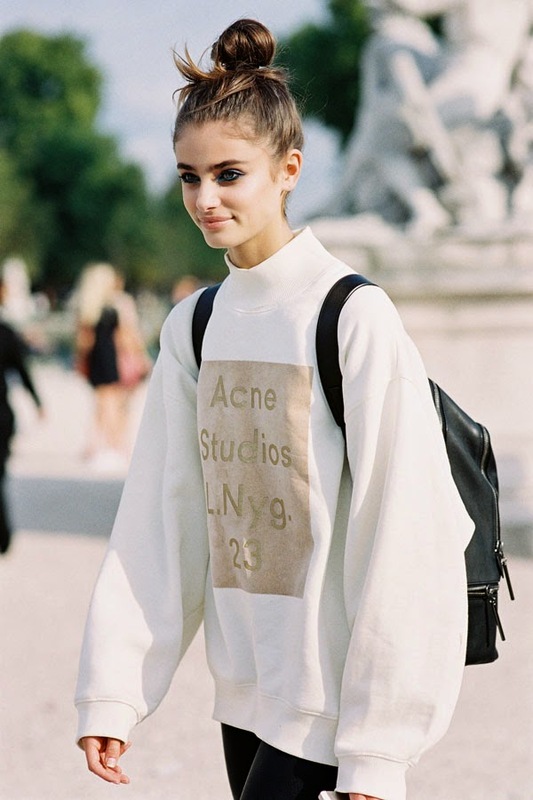 Make-up inspiration via American model Taylor Marie Hill (wearing Acne Studios Beta flock sweatshirt), after Elie Saab, Paris, September 2014.